This is without doubt the number one monofil in the UK. It has scooped multiple awards, landed two British record carp and is popular with anglers across all disciplines. With a reputation for exceptional reliability, a rugged performance, Sensor has delivered amazing durability, suppleness, consistent diameter and superb knotting. 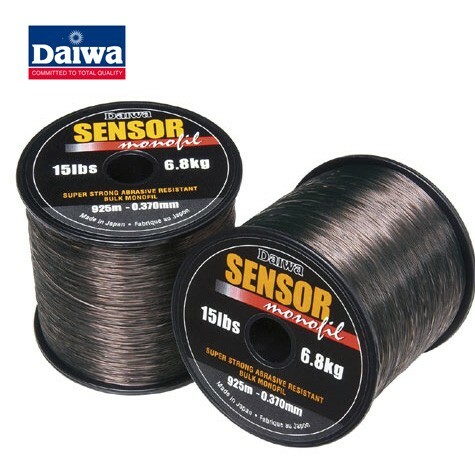 Daiwa Sensor 1/4Lb Spool This is without doubt the number one monofil in the UK. It has scooped multiple awards, landed two British record carp and is popular with anglers across all disciplines. With a reputation for exceptional reliability, a rugged performance, Sensor has delivered amazing durability, suppleness, consistent diameter and superb knotting. FREE Delivery on all Daiwa Mono Mainlines over £100!! !